Are you ready to SAFARI and come face to face with some of the fastest, tallest, largest and cutest animals around?... Then welcome to West Midland Safari Park, voted 'Most popular tourist attraction in the West Midlands' by children and parents from the region. 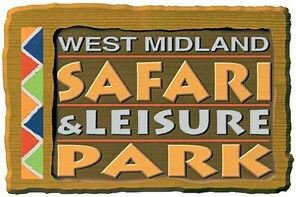 There's a fantastic day out waiting for you at West Midland Safari and Leisure Park! Situated in the heart of rural Worcestershire, the Park covers an area of almost 200 acres incorporating a four mile self drive safari (on your Bakers Dolphin coach) where you will see our latest arrivals - a lively pack of African Wild Hunting Dogs in their own reserve; a magnificent display of rare and exotic White Tigers; elegant Giraffe; our friendly Rhino family, which includes two youngsters; Wallabies by the dozen; our herd of 'teenage' Elephants, which are full of mischief; plus a many, many other species. There's plenty to explore on foot too; including Pets Corner with Sealion Theatre; Seal Aquarium; Reptile House; Friendly Animal & Reptile Encounter; Creepy Crawlies Exhibit and a new Seaquarium - visit the breath-taking world of marine life - see brilliant Tropical Marine and Freshwater Exhibits from of the Asian Pacific; Red Sea and Amazon River! Our Hippo Lakes are home to the largest family group of Hippo in Europe. Help feed the hippos, learn about the fascinating world of reptiles, see leaping lemurs or have a close encounter with one of our friendly fluffy animals during our daily talks, feeds and encounters!!! And, if it's pure adventure you're seeking, then the Leisure Area, which is packed with a variety of family fun rides (additional payment required), is sure to excite. In addition, there are lots of places to picnic; souvenir shops to browse and places to eat. Please note: the coach will travel via Kidderminster dropping fellow passengers at the Severn Valley Railway.